Are the Yankees Really in Trouble? With a 6-5 loss last night to the Tampa Bay Rays, the New York Yankees losing streak has now reached six. More importantly, four of those six losses are against the two most likely challengers to New York in the American League East – Boston and the Rays. Despite a very veteran-laden and talented ballclub, this Yankees team looks like it could be trouble. The last time a Yankees losing streak reached six games was 2007. Despite leading baseball in home runs (61) and scoring the second-most runs in the AL, the Yankees offense has really struggled recently. New York has scored more than 5 runs just once in the last 13 games and is averaging just 3.9 runs per game during that stretch. With the exception of Curtis Granderson, each regular in the Yankees lineup has a lower batting average and on-base percentage than their career averages. Brett Gardner and Granderson are the only Yankees regulars with higher slugging percentages than their career averages. However, there has been some degree of bad luck for the Yankee lineup. Brett Gardner’s BABIP is right about at league-average with a .301 clip. Every other Yankee regular has a BABIP lower than .300, indicating that they have been unlucky up to this point of the season. Even with the luck factor, it appears age may finally be catching up with some of the great players of this era in Derek Jeter and Alex Rodriguez. 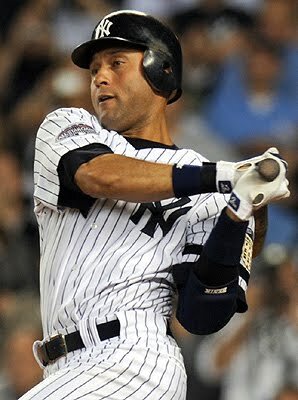 Jeter’s numbers are in the process of severely dipping for the third straight season. He is hitting .255 with a .312 on-base percentage. Jeter’s problems at the plate are more than getting on base, though. He has just five extra-base hits in 37 games. 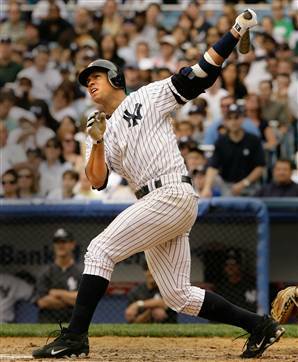 Jeter’s only two home runs came in the same game. He is slugging just .314 on the season. He is simply not hitting the ball hard, and at age 37, may not have much left in the tank. Rodriguez’s numbers are in the process of dipping for the fourth straight season. He is in the midst of a major slump right now, posting a .176/.255/.275 batting line in his last 24 games. He should break out soon, but at age 35, he is certainly not the same player he was during his prime, when he won three MVP awards. Rodriguez’s lack of production has likely had an effect on the players he is surrounded by in the lineup, Mark Texeira and Robinson Cano. As great of a hitter as Cano is, he has struggled with plate discipline this year. Cano posted a career-high .381 OBP last season compared to a .323 mark this year. The Yankees are still waiting for Mark Texeira to heat up after a typically slow April for him. However, at 31 years old, coming off his worst season since his rookie year, Texeira may already be showing signs of declining. He may never post the .292/.383/.565 line he did in his first season in New York two years ago. Rodriguez’s lack of protection may have a hand in Texeira’s continued decline from his first two seasons in New York. The supporting cast has not been much of a help to these aging stars. Despite a strong start, Russell Martin is hitting just .200 with a .383 slugging percentage in his last 19 games. In his last 22 games, Nick Swisher is hitting .179/.297/.308. After a career year last year (.288/.359/.511 with 29 home runs and 89 RBIs), Swisher is hitting .218/.331/.308 with just 6 doubles, 2 homers and 14 RBIs for the season. Jorge Posada is posting a .165/.278/349 batting line and is 0-for-24 against left-handed pitchers this year. While this may be troublesome, the Yankees may be able to find help on the way. With an almost limitless budget, the Yankees are always in the market to take on a player with a big contract. They also have help right in Scranton/Wilkes-Barre, their AAA-affiliate. Jesus Montero, rated the #3 minor league prospect by Baseball America, is currently raking with 2 home runs, 12 RBIs and a .336/.369/.443 line in 30 games. Should Posada and Martin continue to struggle, the Yankees could turn to their 21-year old super prospect as their designated hitter and/or catcher. There is also the chance the Yankees trade Montero in a huge trade to land a possible star. 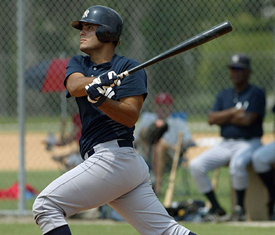 Either way, Montero could play a large role in how the Yankees season turns out. Currently sitting at 20-19 and 3 games back of Tampa Bay for first place in the AL East, the Yankees offense is surprisingly giving them cause for concern to compete with the streaking Red Sox and Rays for the rest of the season. Barring a big trade, it could be the Yankees lineup, not their pitching staff, that may prevent them from participating in the postseason this year.